The Country Universities Centre (CUC) will soon welcome two new locations to its expanding network - Narrabri and Moree. The Country Universities Centre (CUC) is a not-for-profit organisation, established with the aim of making tertiary education more accessible for regional, rural and remote Australians. We believe that the success of an aspiring student should not be pre-determined by geographical location. That’s why we’re motivated to provide the support students need to thrive, free of charge. Currently under development. Scheduled to open before Semester Two, 2019. CUC North West will operate across two locations, Narrabri and Moree, providing our students with the support required to achieve their education goals. 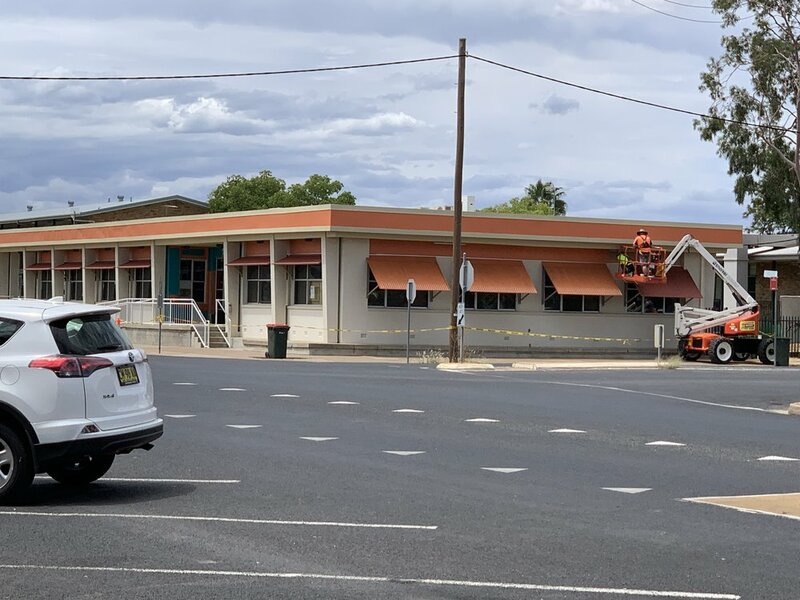 Like the Moree location, the Narrabri location is also undergoing refurbishments. CUC North West celebrates the next stage in development. At a ribbon-cutting ceremony, Moree Plains Shire Mayor, Cr Katrina Humphries (far left), Member for Northern Tablelands and Assistant Minister for Skills, Adam Marshall MP, Narrabri Shire Council Mayor and CUC North West Board of Directors Chair, Cr Cathy Redding, CUC North West Centre Manager, Cathy Walters, and CUC North West Centre Coordinator, Sumati Chakravati-Cook (far right), look forward to enhancing opportunities for students in the North West. Cathy is a born and bred local, completing both her primary and secondary schooling in Narrabri. She has a teaching career spanning over 16 years and has taught throughout Australia and the United Kingdom. Cathy holds a degree in Secondary Education majoring in Business and Information Technology, and a Master of Educational Studies with a focus on Mathematics Education. Cathy has worked as a high school teacher in the Narrabri region for the last 13 years, and before that in Brisbane and London. Sumati an educationist who has specialised in the learning experiences of students attempting university study. She has been involved with teaching and learning at the tertiary level for over 30 years, having taught in China, Japan, the USA and Australian universities. Sumati holds a degree in Linguistics, an MA in Literature & Linguistics, an MA in TESL as well as a PhD in Education. She is interested in the cognitive learning processes of students because this informs best teaching practice and curriculum design to enhance student retention in their studies in any discipline. You can call Cathy (CUC North West Centre Manager) on 0429 594 198 or email degrees@cucnorthwest.org.au. OR, learn more about the CUC Network here.